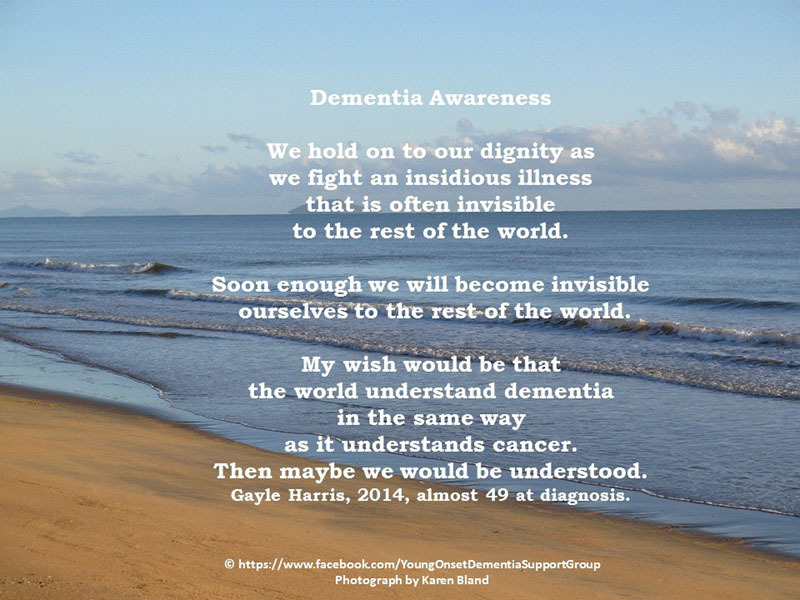 We hold on to our dignity as we fight an insidious illness that is often invisible to the rest of the world. Soon enough we will become invisible ourselves to the rest of the world. 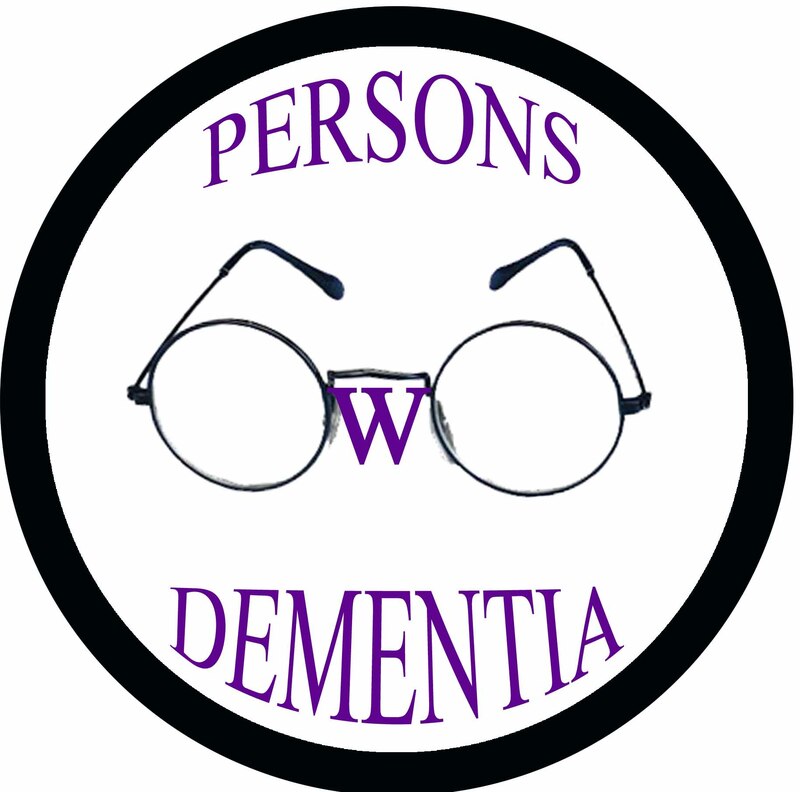 My wish would be that the world understand dementia in the same way as it understands cancer. Then maybe we would be understood. — Gayle Harris, 2014, almost 49 at diagnosis. Somebody very wise once told me that we all have two lives. 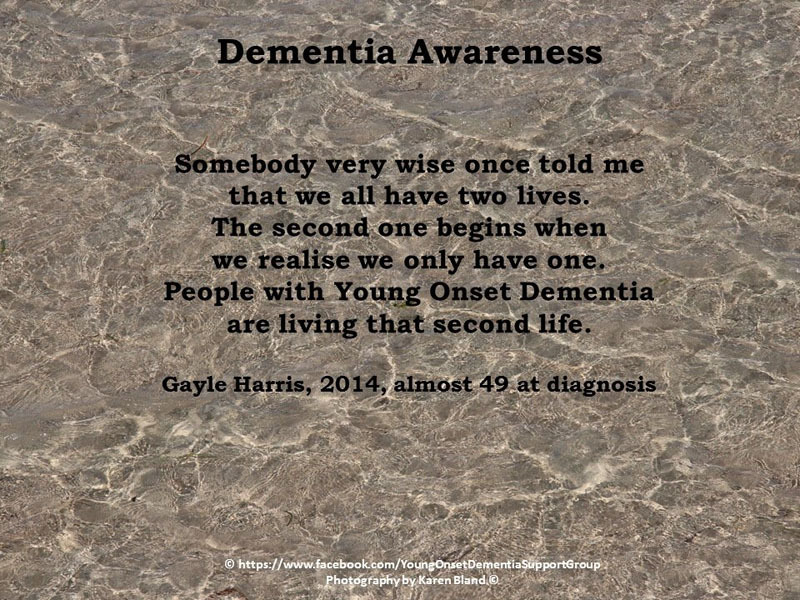 People with Young Onset Dementia are living that second life.